Virginia sports betting fans are not going to like the news – the state offers no form of legal sports wagers. Some of Virginia’s gaming laws are forward-thinking. The Old Dominion State is one of the twelve largest in terms of population, and its growing populace is leaning slightly more liberal in all areas. With legalization efforts underway across the United States, and existing laws that are just this side of lax, it’s likely that Virginia could see regulated gaming in the near future. For now, though, the best way to gamble if you’re a Virginian is to drive to Atlantic City or play online. What is Virginia’s position on Web-based sports betting? What is the sports scene in Virginia like? I’ve got answers to those questions and more below. There’s not been a professional sports team at the major league level in Virginia since the short-lived Virginia Squires ABA team. The Squires were not brought along with the NBA merger in 1976, probably due to small-market concerns, and the state has been devoid of pro sports ever since. Despite a couple of efforts to move a baseball team here (one time getting within a few months when the Houston Astros couldn’t agree on a stadium deal), the state is still the largest in terms of population to lack a professional team. The fourteen schools on that list participate in both Subdivision and traditional D-1 NCAA athletics in a variety of sports. As far as performance in the “major NCAA sports” of football, basketball, and baseball, only a few schools merit mention. Basketball is by far the most popular sport in the state, and it’s the sport in which Virginia NCAA programs have made the biggest name for themselves. In the 1980s, the Cavaliers were perennial March Madness favorites, by all measures the second or third-best program in the country for more than a decade. Though that team’s prospects have stumbled a bit, we’ve seen long runs into the NCAA tournament by smaller schools from the state. George Mason, Liberty, Norfolk State, Radford, Old Dominion, Richmond, VCU, VMI, and Virginia Tech have all also made appearances in the big dance. The University of Virginia has a baseball program worth mentioning in part because in 2015 it became the first ACC team to ever win the NCAA D-1 baseball title. The team has been competitive for a couple of decades and produced a ton of top prospects; now they have a title to add to their boasts. As for football – the Cavaliers haven’t been legitimate contenders since the mid-90s, and while Virginia Tech produced a number of high-profile athletes, they’ve failed to capitalize on some hugely-successful seasons with playoff success. The best the Hokies have done is playing also-ran to Florida State in the 1999 Sugar Bowl. Though the rivalry between these two schools is hot, neither has a great tradition of dominance in the sport. I’m not a lawyer. This article is informational in nature. I’m familiar with US gambling law from my own private research. You shouldn’t make any big decisions based on my interpretation – Virginia is home to plenty of legal professionals with knowledge of gaming law. Consult someone like that if you have serious questions about gambling in Virginia. 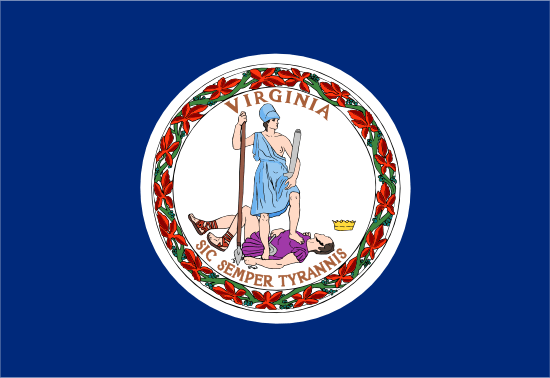 Unlike some of its coastal neighbors, the state of Virginia defines gambling clearly in its state law books. In Section 18-2-325 of Virginia law, gambling is described as “… betting anything of value on anything that is uncertain or a matter of chance.” Any game not explicitly made legal by the state is thus illegal. It’s a pretty tidy way to do business for a state government. Fines for placing an illegal bet run up to $1,000 for a first offense. Offenses beyond that become more complicated misdemeanors, including jail time and higher fines, and eventually felony charges. You can find that information in Section 18-2-326. Illegal operators of gambling businesses are guilty of “conducting an illegal gaming business,” which is a felony punishable by a prison sentence and fine of up to $100,000. You can find those penalties in Section 18-2-238. Since Virginia doesn’t include any mention of online betting, it’s difficult to say explicitly whether or not it is illegal to place a bet at an online sportsbook inside state lines. There’s a further wrinkle in the story, and it has to do with Virginia’s liberal laws about private betting. According to Section 18-2-334 of the state code, social games are fully permitted if they follow certain conditions. Essentially, if your private betting takes place in a home (and not a place used primarily for betting) and there is no profit for the host of the game, it’s legal. Under this provision, the sportsbook providing your bet could be guilty of a crime, but your wagering would probably not be considered illegal. Certain forms of gambling are extremely popular in Virginia – pari-mutuel wagering is a part of the state’s cultural history, and the state allows participation in a variety of lottery networks as well as full charitable and social gambling. Sports betting is not a part of that list – in fact, the state has yet to embrace any form of casino gambling at all. It’s unclear if online sports bets are explicitly illegal inside Virginia state lines. If you are interested in wagering at sportsbook websites, and you have genuine concerns about the legality of those bets, you’ll need to do some more extensive research.